I’m dreaming of a vacation to Europe. This is the closest I’ve been in the past few years – this trip to Montreal. 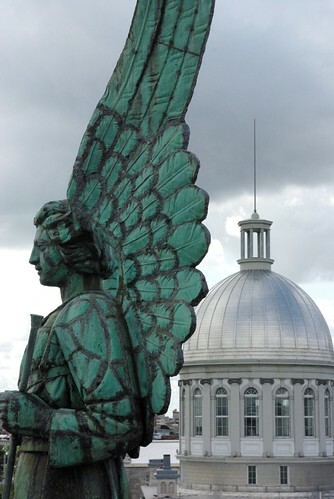 Taken on the roof of Notre-Dame-de-Bon-Secours Chapel. ….waiting for me to come and say hello. Fantastic photograph! Thanks for the follow. Look forward to seeing more here.